WORLD FAMOUS WISE BBQ FOOD TRUCK! Come visit the WISE BARBECUE GOURMET FOOD TRUCK for the BEST Texas Style BBQ in Los Angeles! FULL RACKS OF SPARE RIBS! We're now serving Homemade Corn Bread with Honey Butter!! WISE BBQ AT FIRST FRIDAY IN VENICE! First Fridays on Abbot Kinney Blvd. in Venice, California is a fun food truck focused event with select shops open late, happy hours at select restaurants and special events in popup locations that vary each month. Come see us on the first Friday of every month for one of the most happening food truck gatherings in the world! BRISKET SANDWICH A CROWD FAVORITE! Wise Barbecue brings the revered tradition of the Texas Smokehouse Meat Market to Los Angeles. Pepper Crusted Beef Brisket, Spare Ribs and Country Sides you won't find better Texas Style BBQ in all of Los Angeles. We specialize in Large BBQ Events, Corporate Office and Studio Catering and Gourmet Food Truck Events. BBQ DELIVERY WITH GrubHub in LA! Now Available for Home Delivery!! 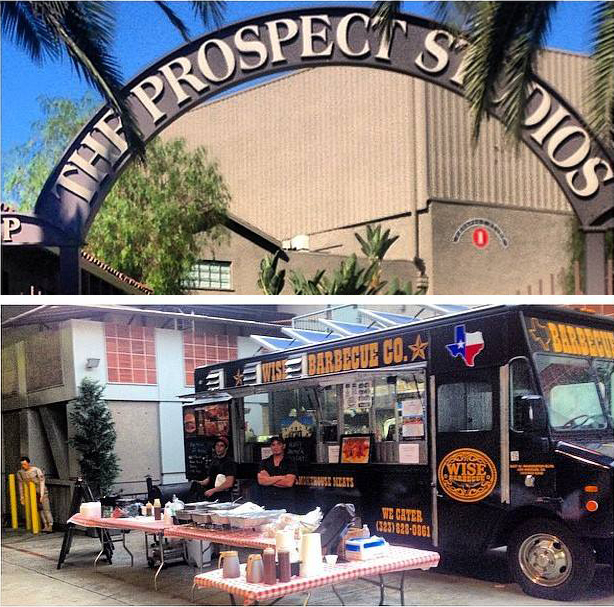 Wise BBQ's delicious food is a favorite among cast and crew members all over Los Angeles. Producers love us because we feed their teams quickly every time! Gourmet BBQ Food Truck Service is available for groups over 100 guests. 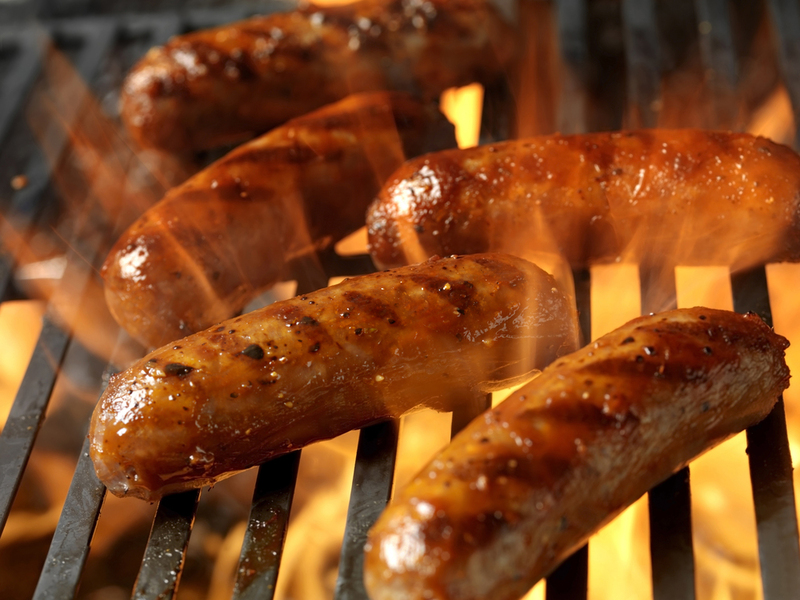 Drop-Off Delivery BBQ is available in the greater Los Angeles area with a 40 guest minimum. ﻿﻿Your guests will be talking about the Wise BBQ Catering for years to come. Traditional BBQ Grill Catering or Gourmet Food Truck Weddings. From Private Party to Gala Event, large or small every event is different. We work with you to make sure your guests have only the best BBQ food experience possible. Our satisfied clients include The L.A. Clippers, Bob's Burgers TV Show, Investors Business Daily, Paramount Studios, The Annenberg Foundation, Nike, Nickelodeon, ABC Prospect Studios, and many more. USDA PRIME Black Angus Beef Brisket. Pepper crusted and wood fire smoked for over 15 hours. Tender and Delicious with authentic Texas cowboy flavor. Full Racks of Pork Ribs. Coated with dry rub and smoked slow-and-low for up to 5 hours. Our ribs are flavorful and tender and the meat pulls from the bone just the way you want it to. Tender and delicious chicken breast marinated, grilled and braised to perfection. Served as a plate or sandwich with our Signature Sauce. The Wise BBQ Gourmet Food Truck can also be found at some of the largest and well-known Concerts, Festivals and Large Private and Public Events in Southern California. Bring us to your event and nobody leaves hungry! Find the WISE BBQ Gourmet Food Truck at Southern California's best Live Music Events and Outdoor Concerts. Come see us at Stagecoach, Coachella, Rhetoric Poetry Slam, To Live and Dine in L.A., Summer Concerts in the Park for City of Pico Rivera, Playa Vista and Pasadena. Sporting Events including Galaxy Soccer, PGA Northern Trust Open, Long Beach Grand Prix and Santa Anita Park. Conventions including Cannibus Cup, Anime Expo, Wondercon, Social Media Week, iHeartRadio Music AwardsShow, and many more. From the Miracle Mile to Century City, Beverly Hills to the West Side and Downtown Los Angeles, we're serving up our Texas Style BBQ from the world famous WISE BBQ Gourmet Food Truck. One Stop Shop for your Downtown LA Artwalk Experience! Park at the start of the corridor at 3rd and Spring (Joe's Parking) and you will start your night as you get out of the car with some of the L.A.'s best food trucks and Street Artists! After some Grubs and Arts walk through the rest of the Corridor of Downtown LA Artwalk for the best galleries in town. Artwalk runs on the 2nd Thursday of every month. Back at our original location of 5 years on 3rd and Springs, we are bringing the Food & Art back to Downtown LA Artwalk! ***Artists Display for Free! Amp Radio OR K-Earth 101 will be there for DJ and promotion. The Odd Market at the Autry is truly spectacular. The property is on 2 and a half acres in heart of Griffith Park. There’s a ton of parking or you could even ride your horse in, seriously. Admission is Free. Free Parking! Located directly across from the L.A. Zoo. And we’ll be offering special promos for those of you who have never been in the Autry Museum. A summer-long celebration of movies, food and music, Eat|See|Hear is LA’s original traveling outdoor movie series going to rotating venues around the city. Featuring a wide mix of outdoor movies, live music and yummy food trucks, Eat|See|Hear won “Best Outdoor Movie Event” in Los Angeles Magazine’s Best of LA 2014. There’s nothing like summer in Playa Vista! From outdoor movie screenings to live concerts, we have so many exciting events planned for everyone to enjoy this season. Come early or stay late to celebrate these fun summer nights and grab gourmet food truck eats. Large or Small size Mac & Cheese topped with your choice of any BBQ Meat and BBQ Sauce.. This one's always a hit with the kids! Homemade, moist and delicious Corn Bread. Give us a call any time and get into the best Texas Barbecue in Los Angeles!